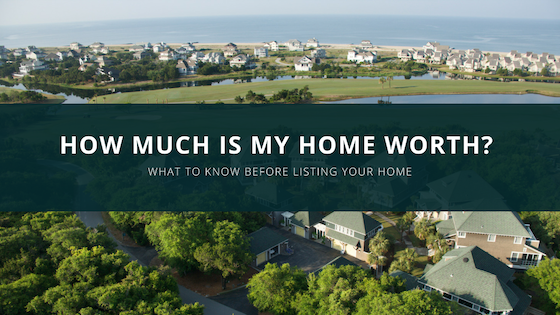 Are you wondering “how much is my house worth?” I have two answers for you. First, if you don’t really need to move, it is worth whatever you say it is. If you think, “I wouldn’t sell this house for less than $300,000,” then it is worth that much to you. If you need to sell it, though, what it is worth to you is irrelevant. Market value is the only relevant value once you are ready to sell. This is the value according to all the home buyers out there. They don’t care what you spent renovating the house, or what you originally paid. Spend $50,000 adding a pool, and they may only pay $20,000 more for the home. Real estate is worth what the market says it is worth. To estimate the market value of your home, use “comparables.” This is how appraisers do it. Find at least three similar homes nearby that have sold within the last six or maybe twelve months (these are your comparables). This information is in county records (sometimes online now), or ask a real estate agent with access to the multiple listing service. Get the sales prices, terms of sale, description of the property, and other information. Take your first comparable, write down the selling price, and review the description item by item. Add to the sales price of the comparable for each thing it doesn’t have that your subject home has, and subtract for each thing it has that your subject home does have. This sounds confusing, but it will make sense once you try it a couple times. For example, if your home has a second bathroom, and the comparable doesn’t, add the value of the bathroom to the sales price of the comparable. If the comparable home has a blacktop driveway, and your’s doesn’t, take the value away. You’ll have to estimate what these things are worth, or ask for professional help. You are rectifying differences, to see what the comparable home WOULD have sold for if it was just like yours. If a comparable sold for $242,000, with one less bathroom than your home, and a bathroom is worth $15,000 in your area (ask a real estate agent for help with these figures), then you ADD $15,000 for the bathroom it doesn’t have. Subtract, say $5,000, for the paved driveway it does have, that your home doesn’t have. $242,000 plus $15,000, minus $5,000 gives you a comparable sales price of $252,000. Do this with each comparable, then average the three comparable prices. If, for example, the three comparables now have adjusted sales prices of $252,000, $262,000, and $249,000, add the three figures and divide by three. The indicated value of your home is $254,300. This is about what it should sell for. Appraisal is an inexact science. If you can only find houses sold over a year ago, you should probably estimate appreciation in the area, and add that. If one sold with seller financing, you have to adjust for how this affected the price. These complications make it tough to appraise your own home, so what if you need help? There are other ways to find out what your house is worth. You can pay for a professional appraisal. This way you will also have something to show to prospective buyers who doubt the value. Be sure to tell the appraiser about anything she might miss, like a newer roof, or specially imported tiles. What about online services that tell you what your house is worth? They don’t have enough access to sold prices of homes around the country to have a program figure the value of your house. Instead, they usually just take your basic information, e-mail address, and phone number, and sell this “lead” to a real estate agent that will contact you. It is better to find a real estate agent on your own, and ask “How much is my house worth?” Find one who has sold homes in your area, and ask if she can do a “market analysis” of your house value. Normally this is free, with the agent hoping to impress you and get your business. Often, if the agent has experience and has worked in your neighborhood, they’ll do a better job than an appraiser, and the price is right.